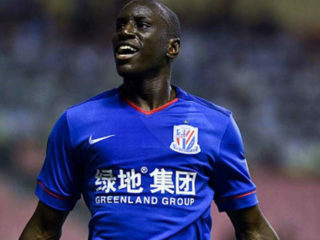 Senegalese striker Demba Ba found himself at the centre of a racism controversy in China over allegations that an opposing Chinese player hurled insensitive comments at him during a match Saturday night. 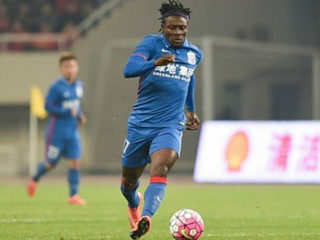 Shanghai Shenhua are heavily linked with a move for former Chelsea striker Demba Ba as replacement for Obafemi Martins who is expected to spend a minimum of six months on the sidelines after undergoing knee surgery in London. 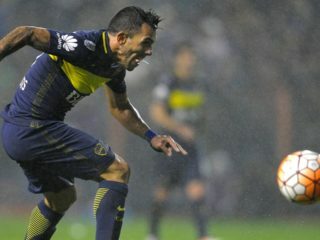 Argentine star Carlos Tevez arrived in Shanghai to a hero's welcome but sneaked out of China less than a year later and has now sealed a return to Boca Juniors. Carlos Tevez looks poised to end his miserable 12-month spell in China with the Argentine former international in talks with his club Shanghai Shenhua to terminate his mammoth contract. 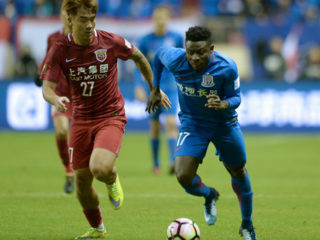 Nigerian veteran striker Obafemi Martins scored a cracker as Shanghai Shenhua stunned rivals Shanghai SIPG to win the Chinese FA Cup final on away goals 3-3 on aggregate on Sunday. 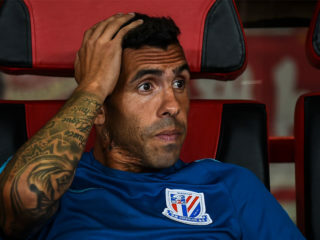 Carlos Tevez has lost several kilos in weight and wants to prove himself to sceptical Chinese fans who have booed him and labelled him "very homesick boy", his club Shanghai Shenhua said on Thursday. 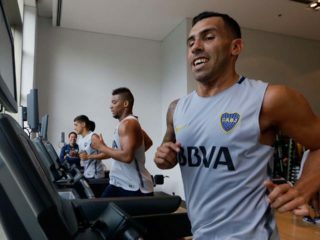 Carlos Tevez has shown a better attitude and is doing extra training of his own will, the coach of Chinese club Shanghai Shenhua said Friday, days after he called the Argentine overweight. Carlos Tevez is overweight and will not play again for Shanghai Shenhua until he gets fit, the Chinese club’s new coach has warned. 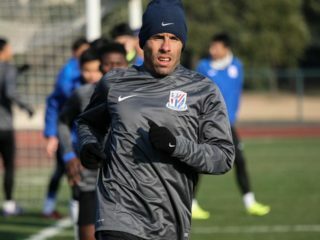 Underperforming Carlos Tevez has returned to China following treatment in Argentina and is back training with Shanghai Shenhua, the club confirmed Thursday, allaying doubts about his immediate future. Chinese football fans and media are urging underperforming Carlos Tevez not to return from a trip to Argentina, nicknaming him "Very Homesick Boy" as speculation swirls that he wants out of China. 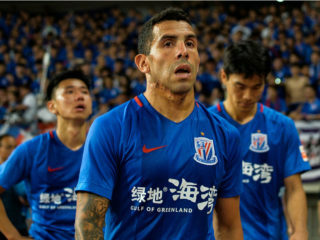 The world's highest-paid footballer, Carlos Tevez, has come under fire from Shanghai Shenhua supporters after being spotted at Disneyland the same day he missed an important match due to injury.